This geocache can be accessed by hiking along the Monongaseneka Trail. Park in the lower parking lot near the bridge. You will come to an overlook loop area. 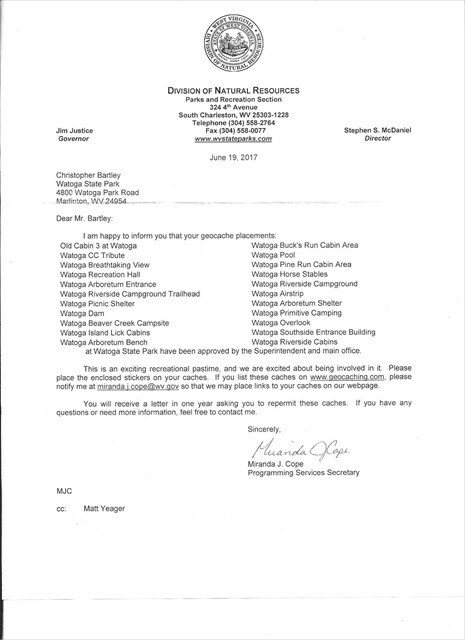 Approval LetterThis letter from the Department of Natural Resources approves the placement of this geocache at Watoga State Park.